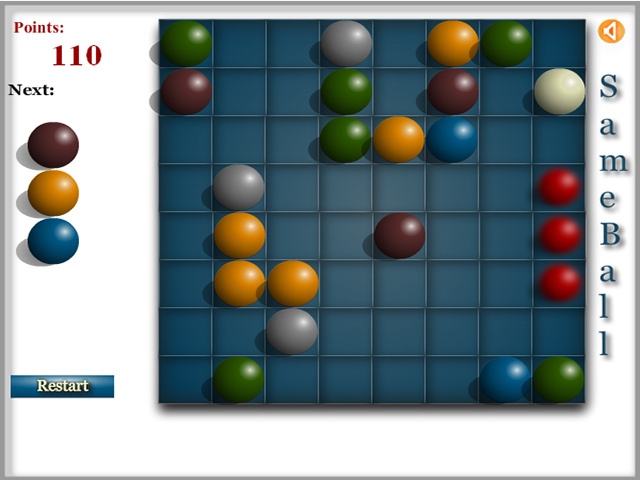 Roll your way through the maddening Match-3 puzzle of Sameball. 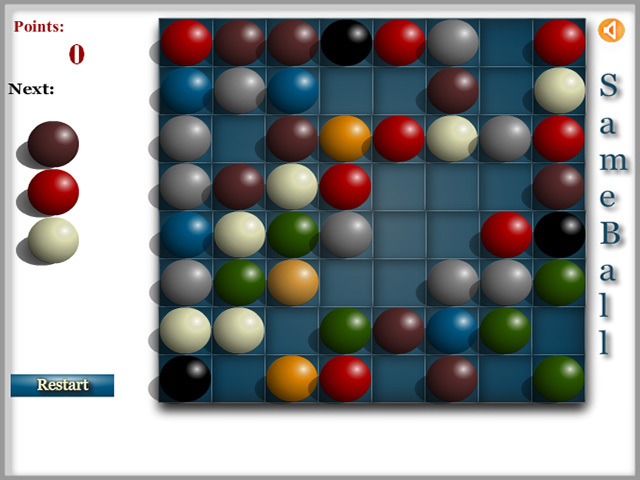 Your mission is to match 3 or more like-colored balls to clear them from the board. Click on a ball to move it. You will need an open path to move the ball. Sound easy? Not so fast. 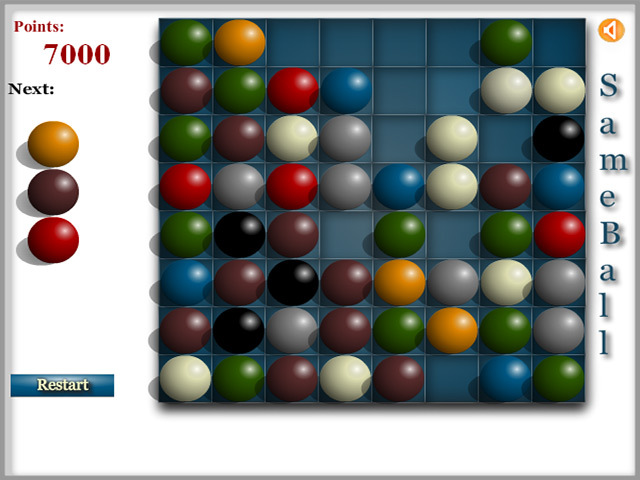 New balls appear every time you make a move and the board fills up fast!